You must make reservations at least 5 minutes in advance of the time at Al Tiramisu. On P Street NW. Between 20th Street and Hopkins Street. Closest Parking lot is on 20th St and Massachussetts Ave.
Metro stop: Dupont Circle, on the Red Line. Al Tiramisu is a cozy friendly neighborhood restaurant. 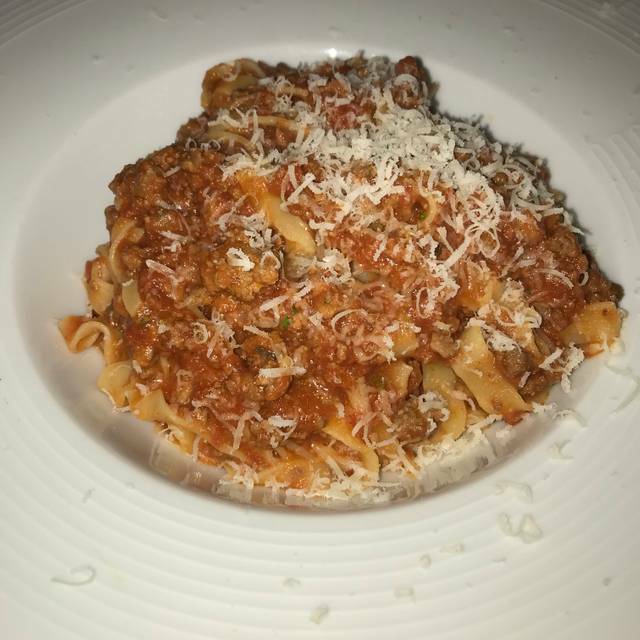 Chef Luigi Diotaiuti has been serving authentic Italian cuisine in Dupont Circle since 1996. First soft shell crabs of the year. Good selection of homemade pastas, seafood and beef. Everything was fabulous. John had the entire table laughing hysterically. The custard like desert special was outstanding. Will definitely be back. We had a great meal here. 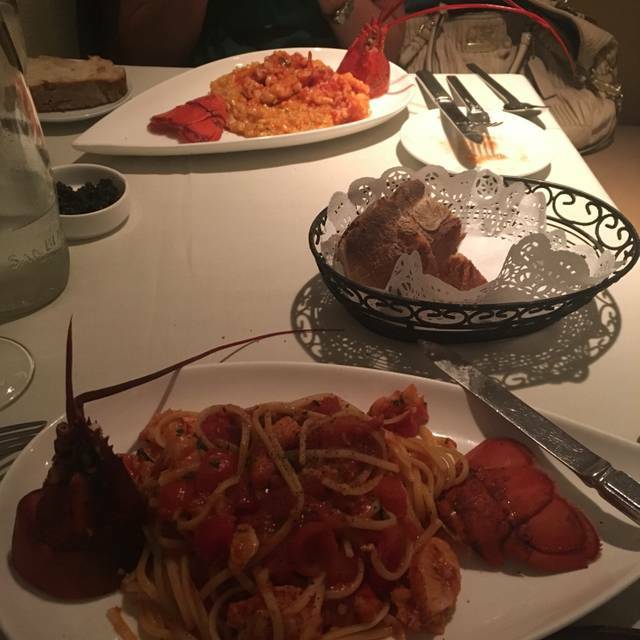 My husband had the lobster and pasta with red sauce. He said it was just like his family’s Christmas dinner of lobster and pasta his whole life growing up in New Jersey. It brought back wonderful memories of his Italian family. My linguine and clams was delicious. The clams were so fresh and tender. A simple dish but very well done. Just what I had wanted! Great place near DuPont Circle. Unlike most of the places in the area, this feels like a family owned and run, classic Italian. Staff is very warm and accommodating, and food is delicious! I was lucky enough to sit outside on a warm spring night, but the interior was cozy and pretty - if a bit noisy. Expected a Michelin standard, was disappointed with the food. It was good but not great. We had an early reservation and the food was brought out quickly. The food was delicious and well worth the value. Great fish and appetizers. A real neighborhood gem. it would be improper to lick the plate. Al Tiramisu offers absolutely wonderful Italian cuisine with a focus on fresh seafood. I love this place! Every dish is flavorful. There are creative touches, but at the same time a wonderful exposition of traditional Italian cooking. I recommend the grilled calamari, grilled branzino, and the mushroom gnocchi with ground pistachio. 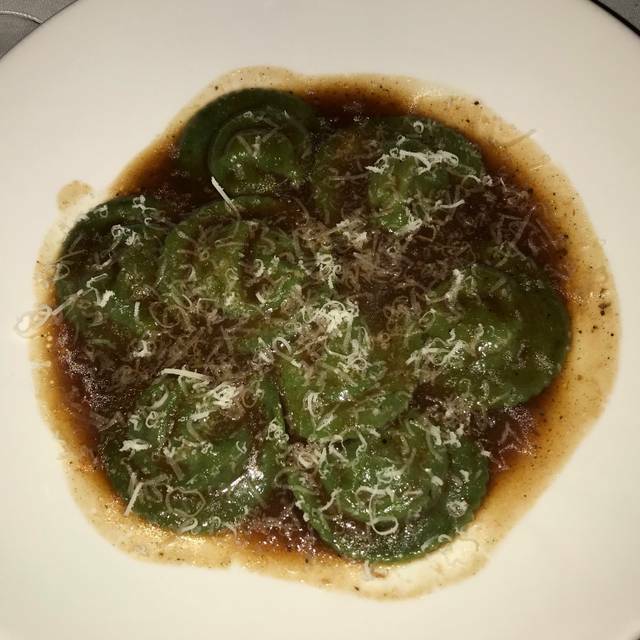 Excellent Italian food, great and friendly staff. A definite return-t place. One of the very best places to eat in Washington DC. Luigi manages the kitchen perfectly. We eat here frequently and have always enjoyed the authentic Basilicata cuisine. Alerted them it was our anniversary, but they didn’t do anything except overcharge me. Rattled off the specials in a heavy accent..never alerted me that the one I picked was $48!! Also charged $10 for a small bowl of mediocre spaghetti. My husband’s fish was tasteless. All in all a disappointment. Everything we want in a dining experience. Amazing food, wonderful cocktails and wine offerings, excellent waiters, always warm greeting. Charming small bar for waiting at. Perfect. Wonderful service topped with amazing food - fresh pasta was divine and fresh branzino and red snapper was delicious. Such a cute find and well worth it! Always a first class outstanding experience. Every trip we make to DC, Al Tiramisu is at the top of our list. two nights in a row with family, friends, and colleagues. The cuisine is outstanding, the service professional, personal, and welcoming. We wish you were in northern California. Regardless, we get to DC 2 to 3 times a year and Al Tiramisu is fondly anticipated. Great service great food. Enjoyed the community feel of the restaurant. We gambled about dining here but we were tired. It was close to our hotel and we liked the Open Table recommendation. We found a very small and cozy space, great ambiance and a lovely greeting from the hostess. We were seated near the back of the dining room, not the greatest location, but fantastic service. The waiters helped us choose lighter pasta dishes, I even had a half portion of the delicate mushroom fettuccine. So good. It was preceded by 6 of the most wonderful baked razor clams. We ordered a bottle of a featured rose with the help of the server. Also a good choice. Coffee was excellent. We shared a slice of the dense carrot cake. One piece was enough for two. We can’t wait to go back. Mushroom ricotta gnocchi, short ribs and homemade ice cream were great. Great food, service, and atmosphere perfect for date night. Wonderful as always! Delicious - wonderful service and a great place to catch up with friends. Delicious food. Wonderful services. It is just magnificent place to have a dinner albeit very expensive. My sister and I picked this restaurant based on reviews and proximity to our hotel. We were both very pleased with our meal, the best we had on our trip. I would certainly come back, if I'm found myself in DC again. Everything is perfect! I love this place. We went for a nice quiet lunch, four of us. That is exactly what we got a nice quiet lunch, excellent food and excellent service. Excellent in every way as usual. Our go to place to take guests!! My 3rd time in the last 60 days, can't go wrong here! A superb restaurant that offers only the best in Italian fare and great service. You cannot go wrong in selecting this very special restaurant for a GREAT experience! We were celebrating a big birthday and the Al Tiramisu made everything special and memorable. Appetizer specials were fantastically prepared and unique - Prosciutto di Parma hearts with mozzarella di bufala, etc. 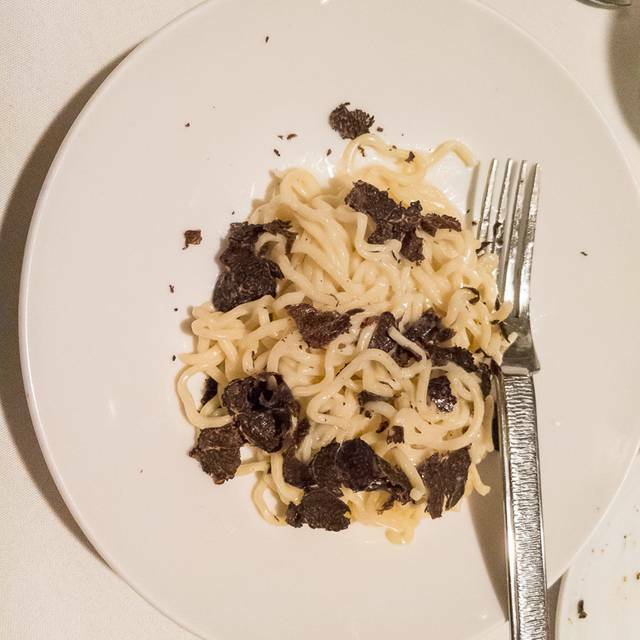 Pasta courses were amazing with veal ragu and risotto parmigiana with freshly shaved black truffles, followed by a superb veal chop with mushroom sauce, sea bream simply baked with lemon and olive oil. 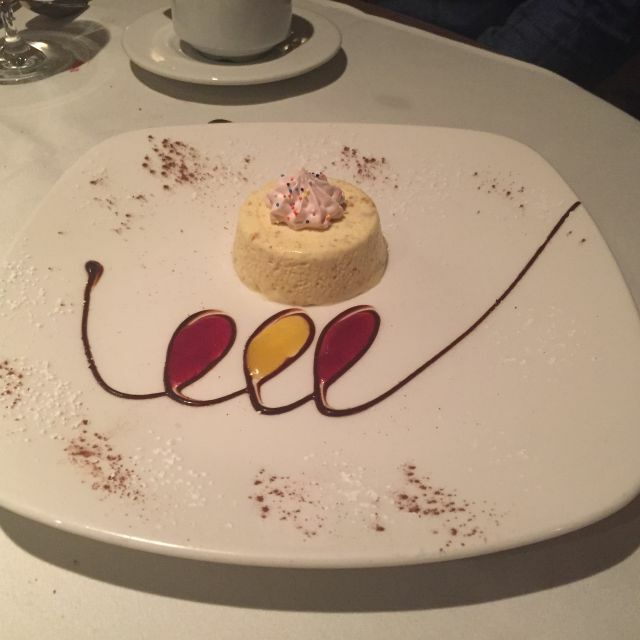 Deserts included, of course, tiramisu and a fantastic semifreddo, with a complimentary muscato toast! Well done Luigi! the other night we went to Al Tiramisu for a date night dinner. The food, atmosphere and service were outstanding. We have made Al Tiramisu our special restaurant for a romantic dinner and special occasions. 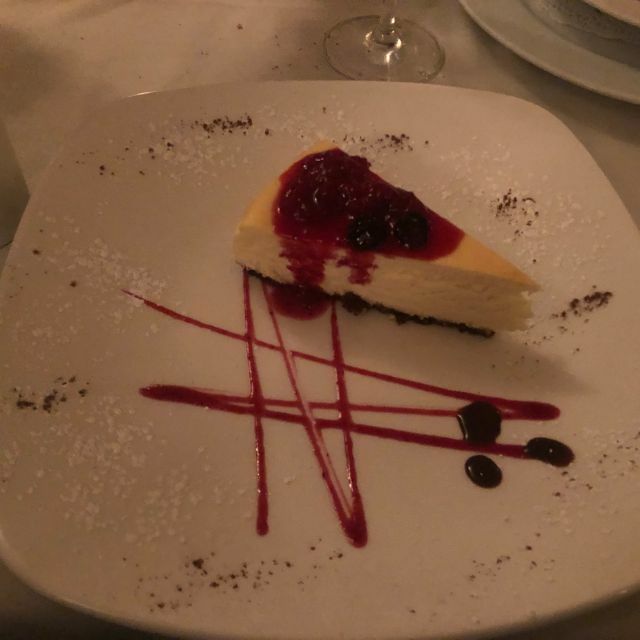 I would recommend Al Tiramisu to anyone looking for a special place to have a wonderful Italian dinner. It was expensive and food was pretty good but not five stars. A man claimed to have forgotten his wallet and there was a big emotional scene / disturbance with manager yelling at him and several staff escorting him out. Ruined the ambiance. Could have been handled more professionally and discretely. My beloved and I celebrated my birthday at Al Tiramisu, and we had a wonderful time. We were seated at a lovely table for two, and moments later, the proprietor presented me with a rose in honor of the occasion. The service was the best we've experienced in a long time, from the moment we arrived until we left. Our server knew just when to check that all was well, and he was also witty and charming. And the food? Excellent. 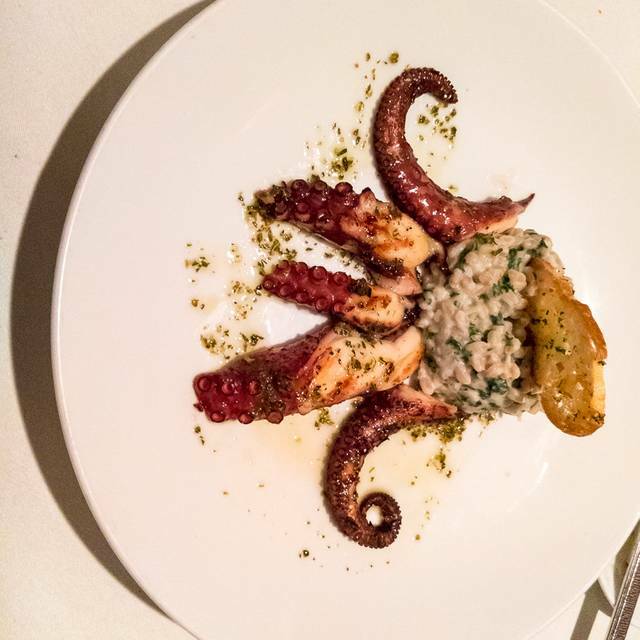 My companion ordered a pasta special, which he enjoyed, and I had the grilled octopus. It was perfectly cooked, tender, and flavorful. (Our salads and the tiramisu we shared were also delicious.) One of the unexpected pleasures of the evening was that everyone at the surrounding tables was enjoying themselves as much as we were. Good spirits prevailed everywhere we looked. We have decided that we'll be celebrating all our special occasions at Al Tiramisu! Such a delight! I cannot wait to return. Loved the ambiance, food, service. Absolutely amazing as alway, the specials make it impossible to order off the menu. Can't wait for next trip to DC, it is a must go for anyone that hasn't been there. Every trip to DC Al Tiramisu is on my itinerary. 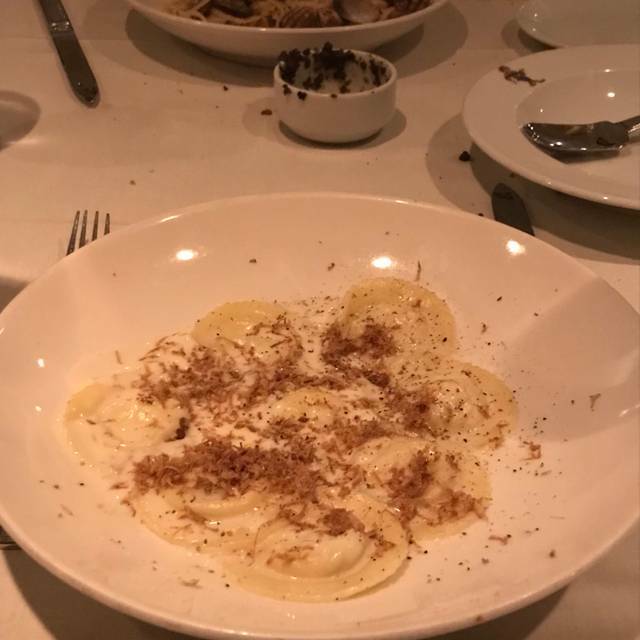 It was our second time going to Al Tiramisu and every time we loved it. It’s impeccable service, food is super delicious and it’s a cozy ambiance. We've been going to Tiramisu for close to 20 years. It continues to be a wonderful restaurant...wonderful food, great wine list, fine service. A little loud perhaps and tables can be a bit tightly spaced, so that (as happened this evening) you can hear next table conversations like they're inside your head. And when people are loud and dropping f-bombs...well, we're not shy but it's not exactly the kind of 'ambiance' we're looking for. Still, a favorite restaurant and a lovely place to celebrate Valentine's Day, as we were. Superb ingredients and preparation for raasonable prices. Excellent service and food. Pleasant atmosphere for an enjoyable evening out. I would definitely return.